I just returned from a photography workshop on Lake superior called “The Gales of November”. This was our cabin, it was a perfect retreat warm and cosy after a day shooting photos in the snow! Met a lot of new photography friends and learned more about Lightroom when we were inside! Thank you for all your comments and faves, now I will be trying to catch up! This is so beautiful. Oh my, so much snow! Fav! I'm not yet ready for snow but this is a beautiful scene. This looks lovely and cosy. Glad you had a great time. Looks just like a Christmas card! 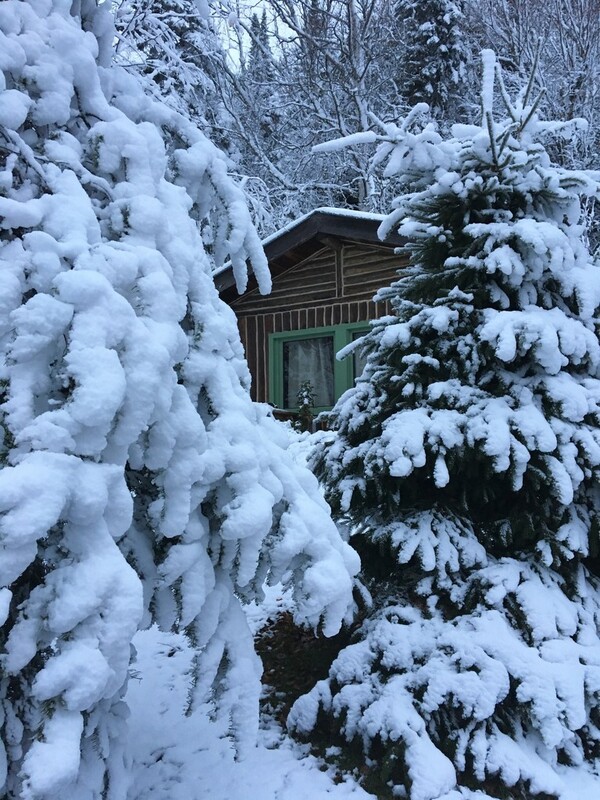 A beautiful picture of the cabin and the snow covered trees. fav. Snow-I don't want to think about it. Wow, so much snow. Sounds like a great place to have a photography workshop. oh super POV and natural framing! Beautifully composed! Please keep the snow above the boarder! FAV! beautiful! hope to capture something like that but not the cold that goes with it! :-) aces, Kathy! @joansmor You just had to be there Joan! @skipt07 I will try, and they are suppose to be getting more snow this week! It looks magical, but must be so cold. Sounds like great fun!. Hope you learned lots. Pheww. I thought that was your place. Still too soon....maybe. Great shot.